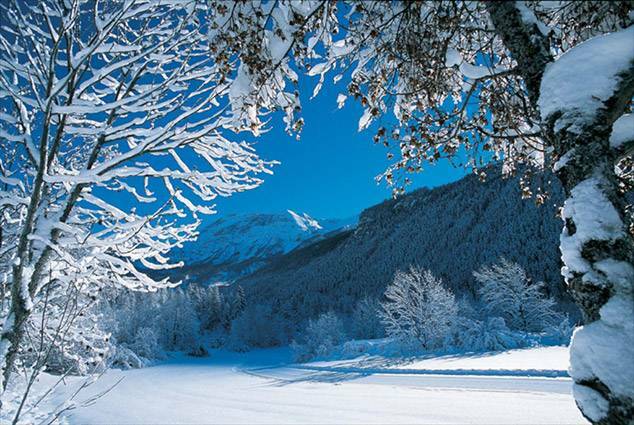 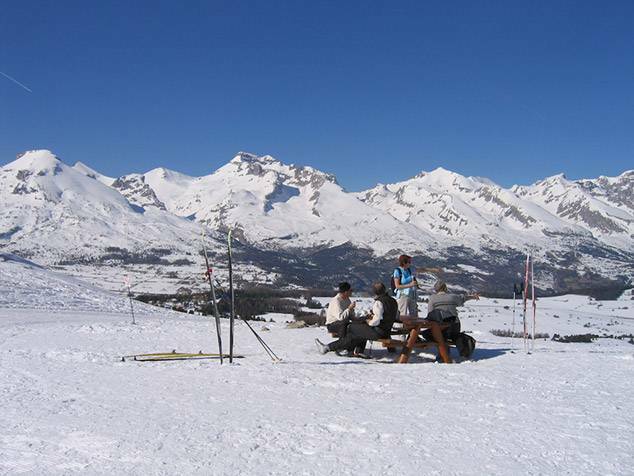 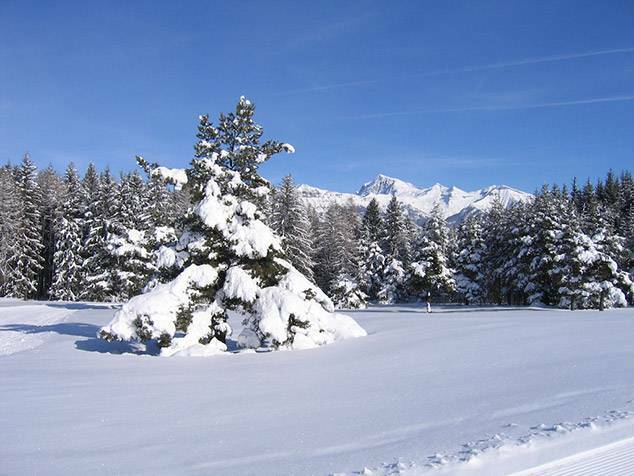 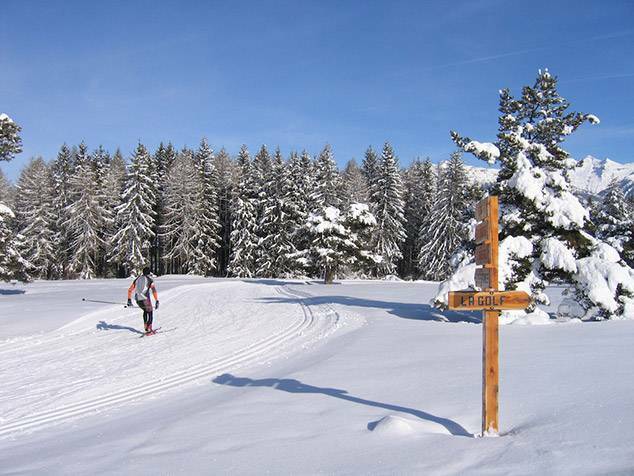 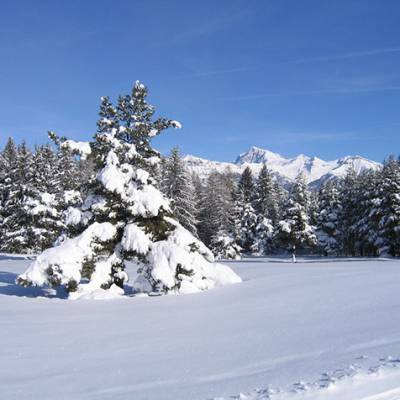 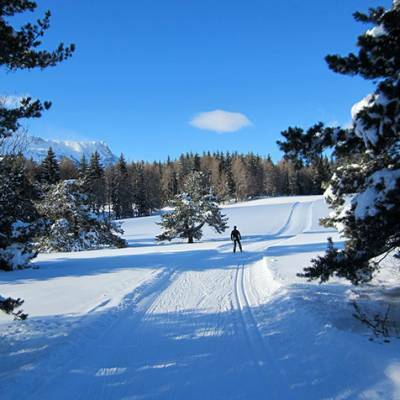 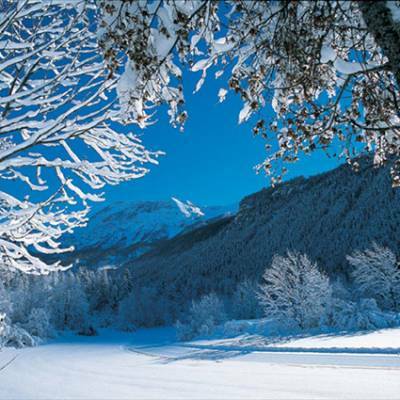 The Southern French Alps is perfectly adapted to cross country skiing with its gentle valleys meandering under a majestic backdrop of high mountains. 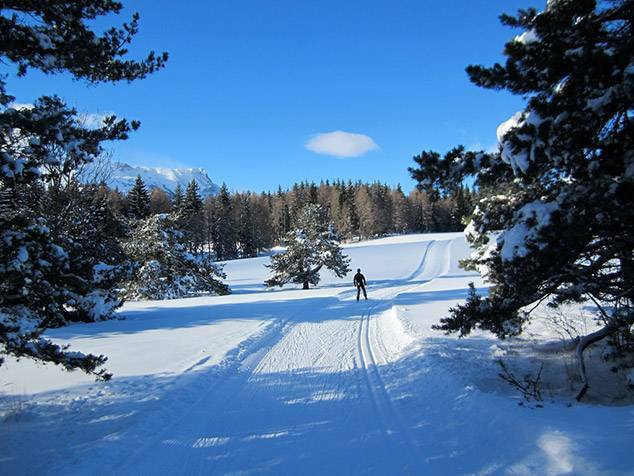 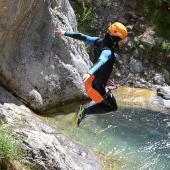 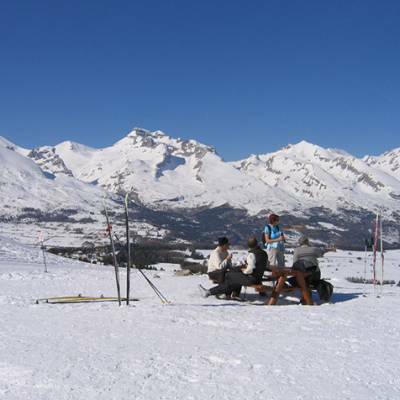 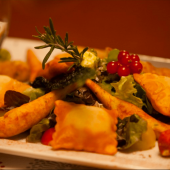 There is an extensive network of cross-country routes passing through some of the most stunning parts of the Southern Alps valleys and high alpine plateaux, including a circuit at 2300m. 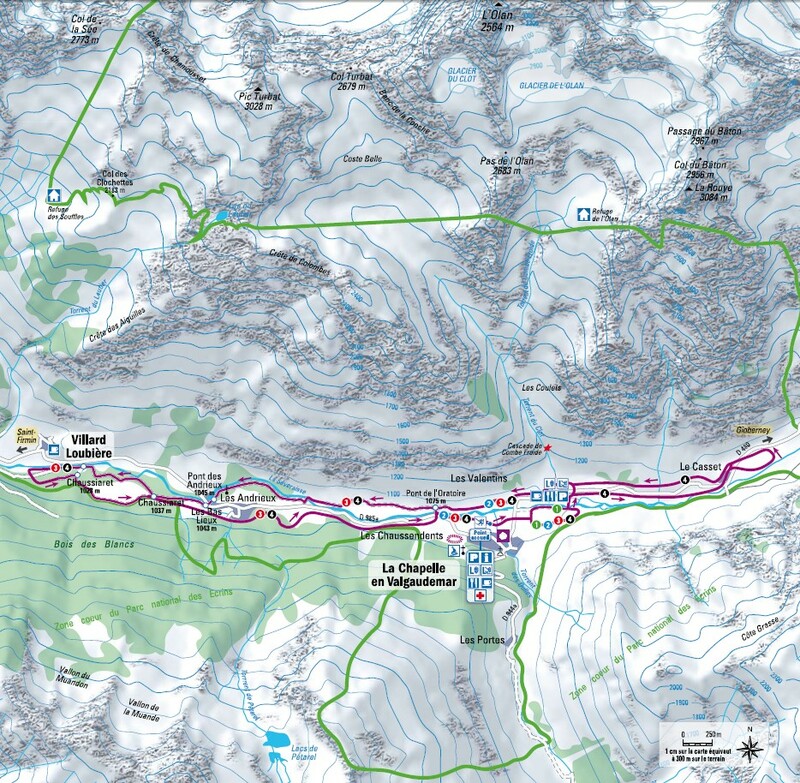 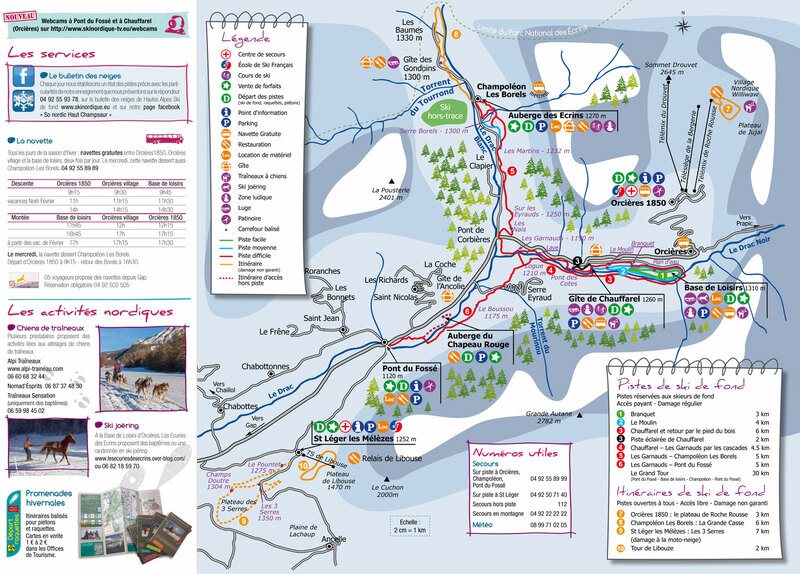 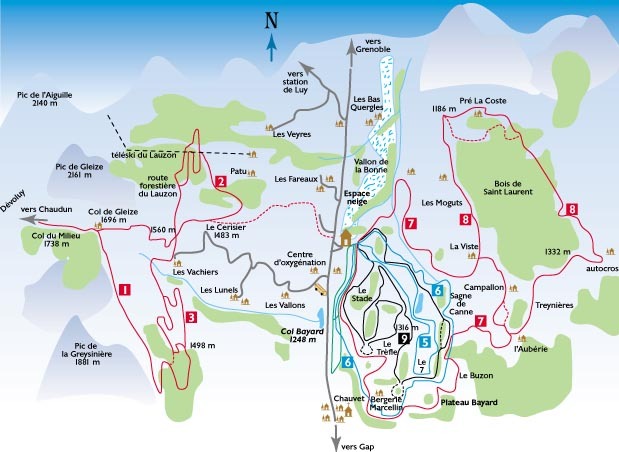 Have a look at the Ancelle, Col Bayard, Haut Champsaur and Valgaudemar maps for an idea of the pistes networks in the area. 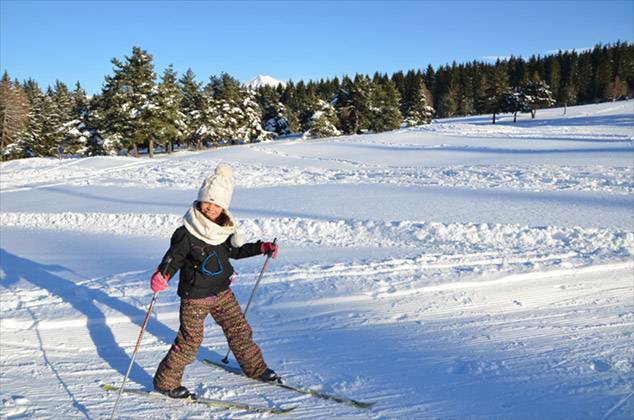 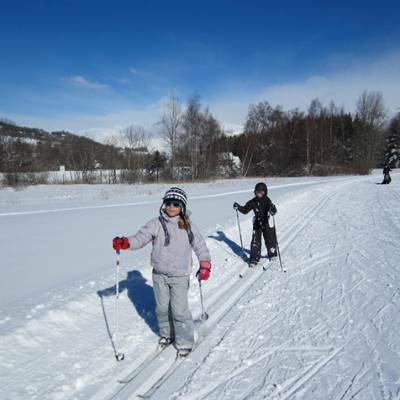 As most cross-country skiing is lower down the valleys than the actual downhill ski resorts, it is best to come in the months of January, February or March when the snow cover is good at lower altitudes. 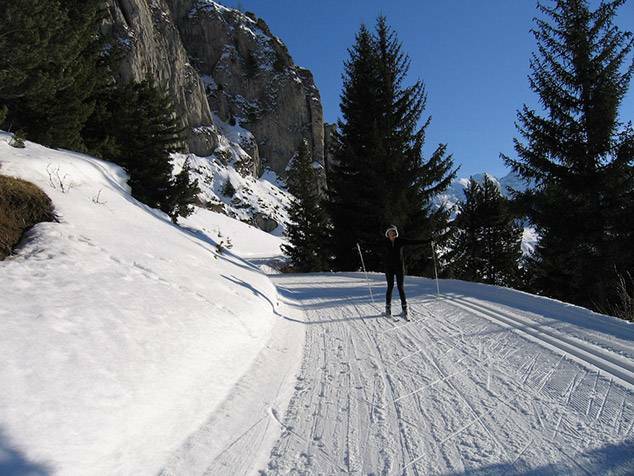 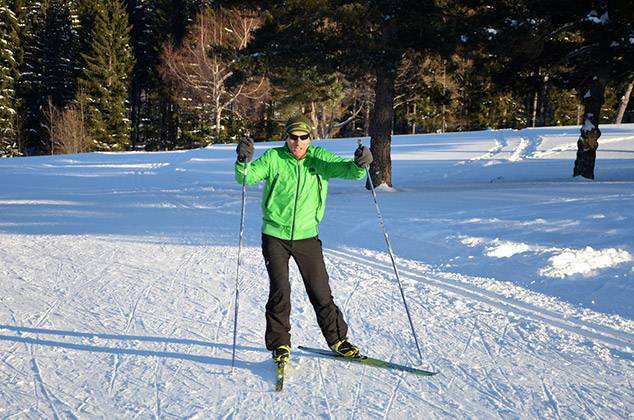 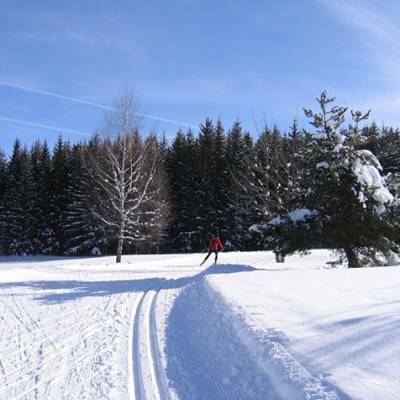 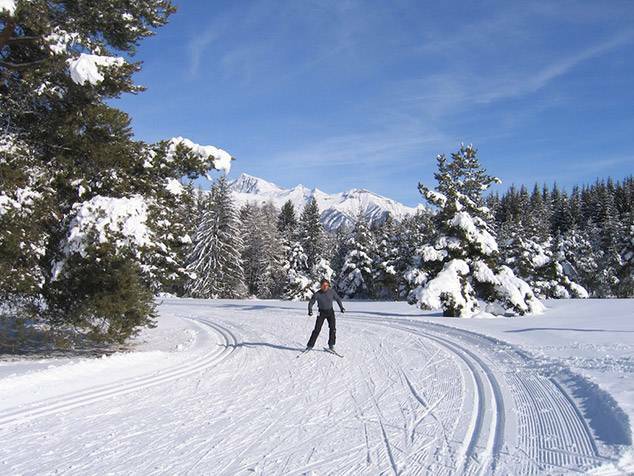 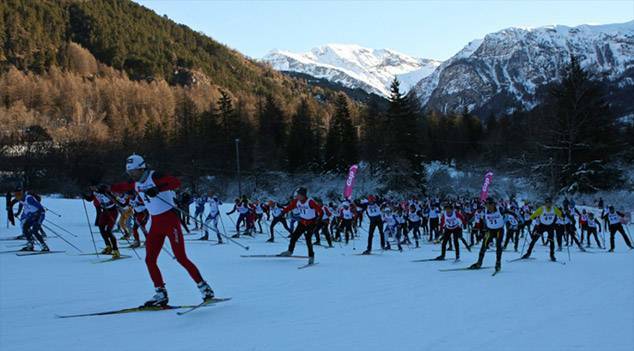 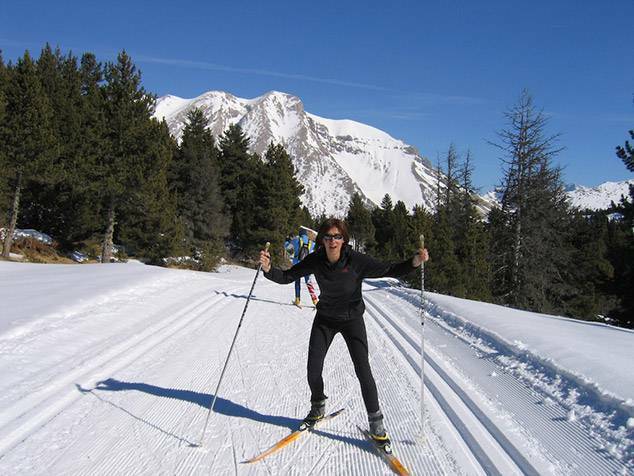 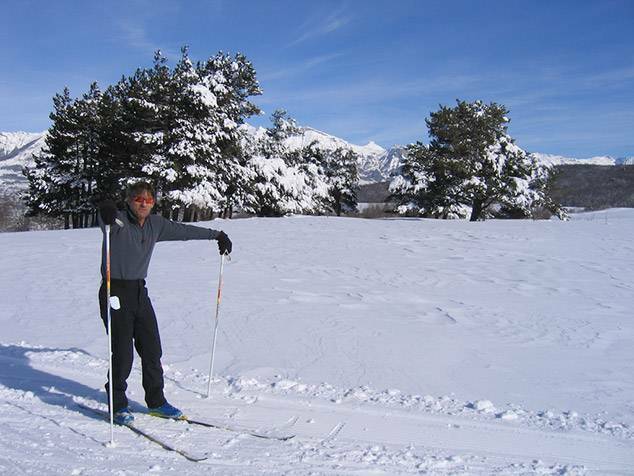 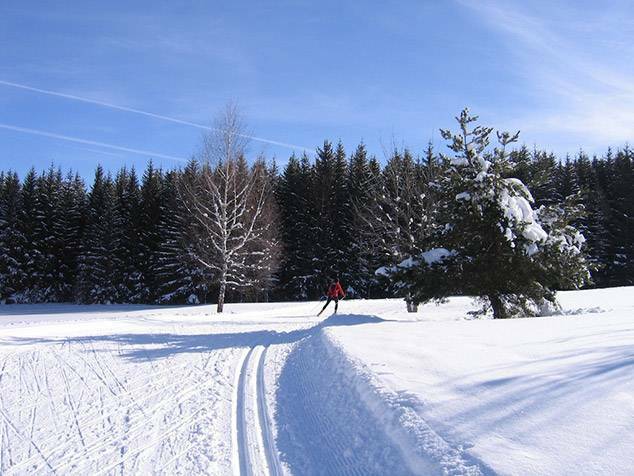 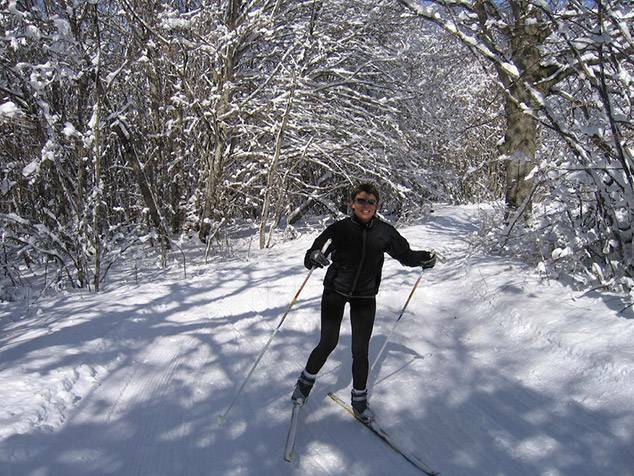 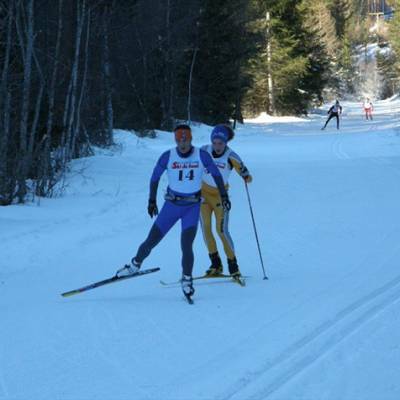 The term "cross-country skiing" can actually mean different things for different people. 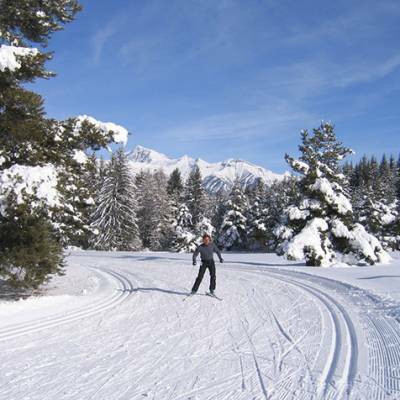 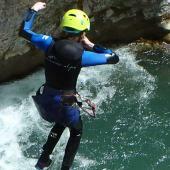 There is skating, ski touring, Nordic skiing, back country skiing and biathlon! 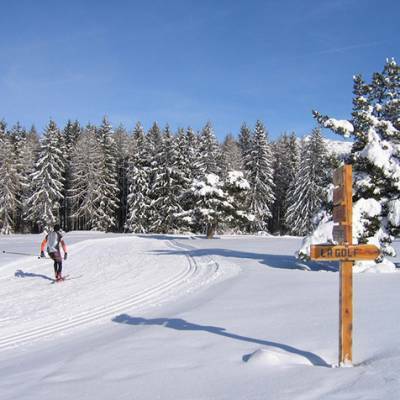 To find out what these all mean, have a read of our blog article, Cross Country Skiing Revealed! 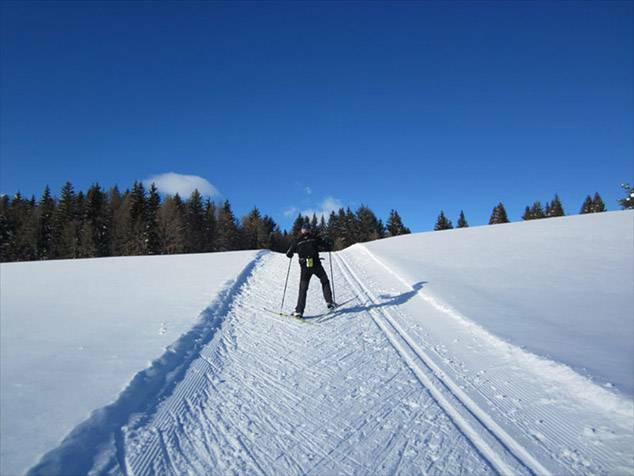 A full on cardio workout or a gentle amble along the snow lined alpine valleys - a sport that can be adapted for all tastes! 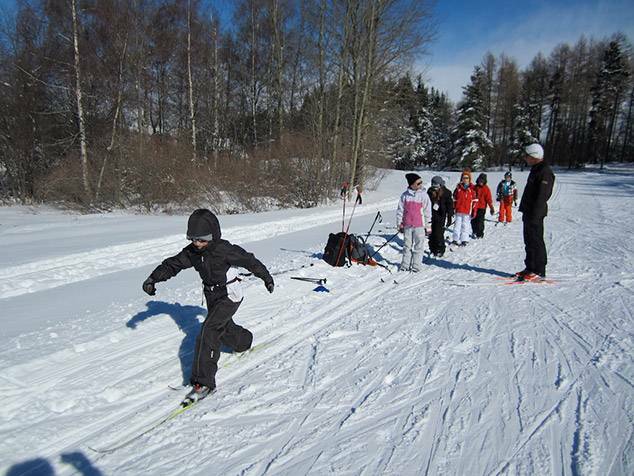 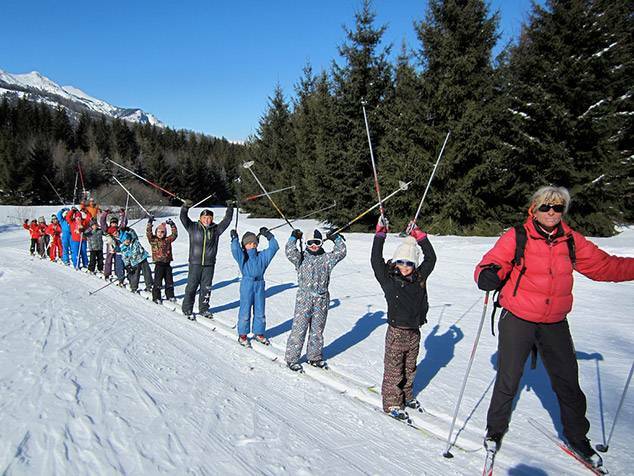 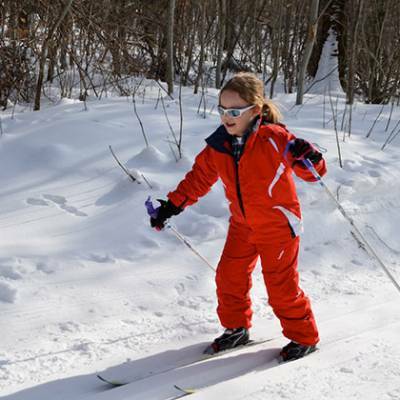 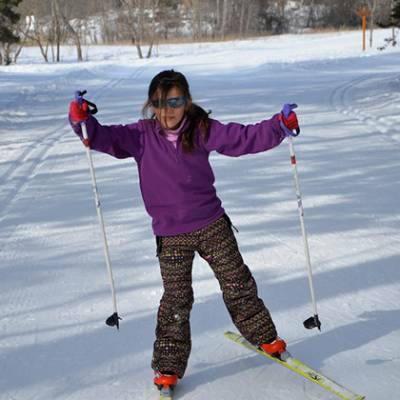 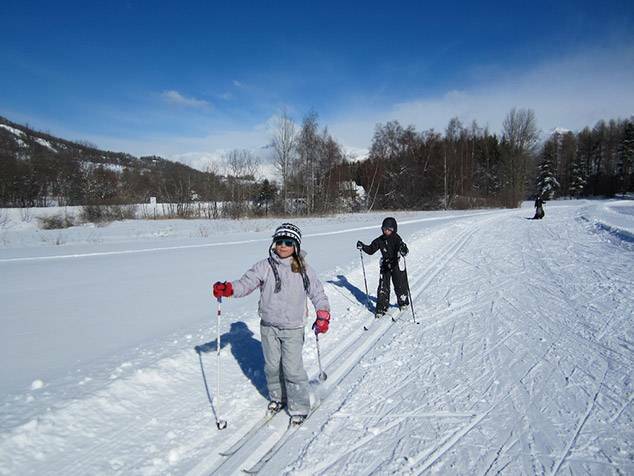 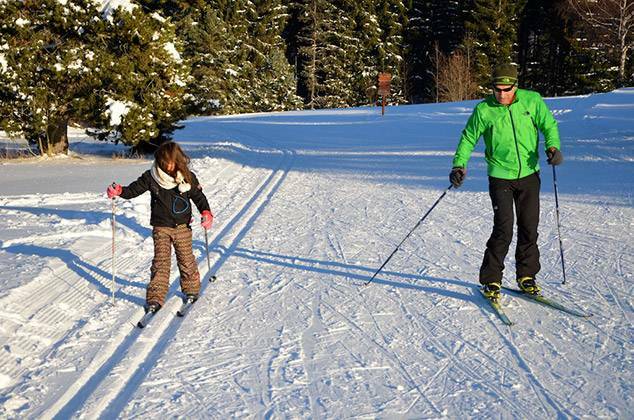 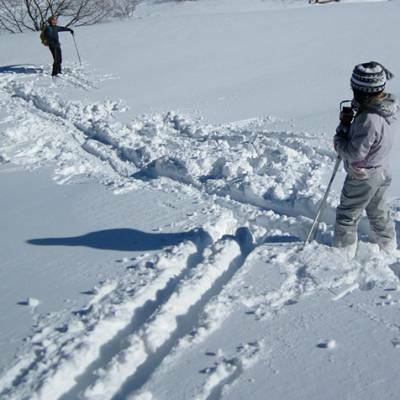 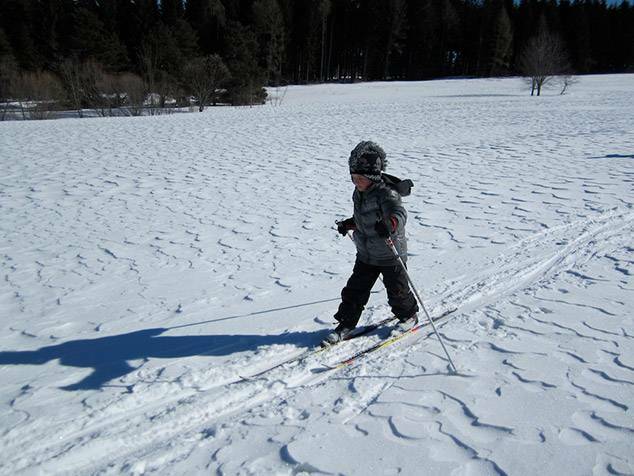 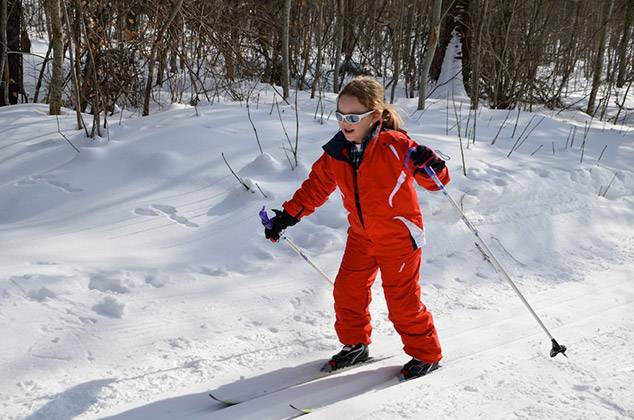 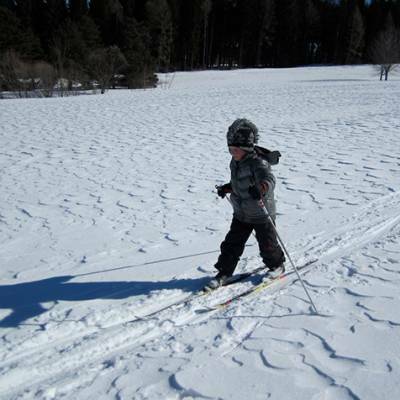 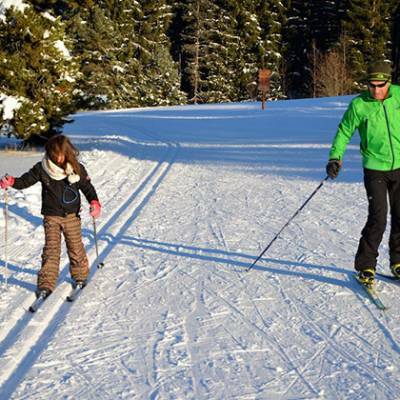 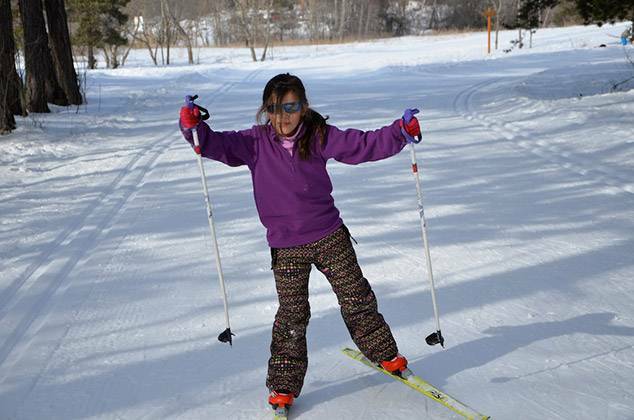 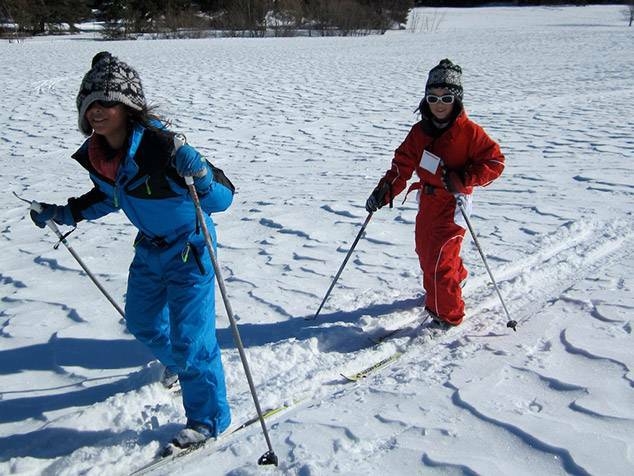 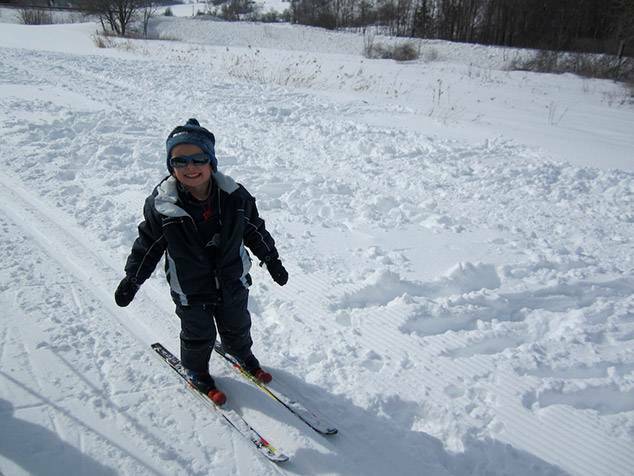 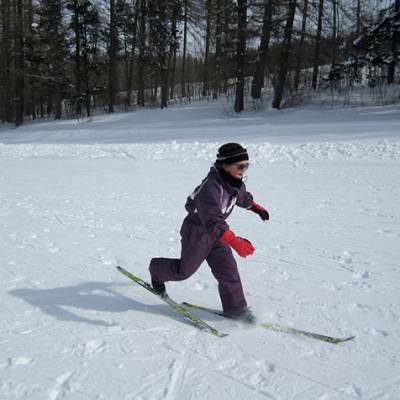 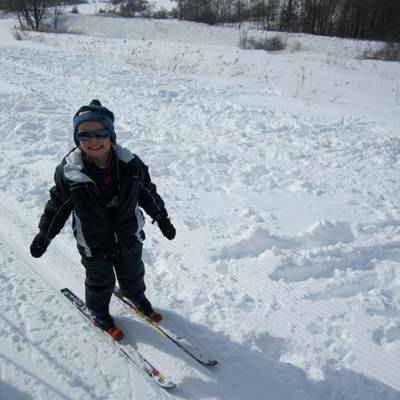 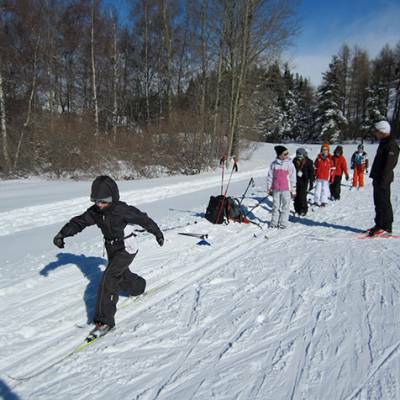 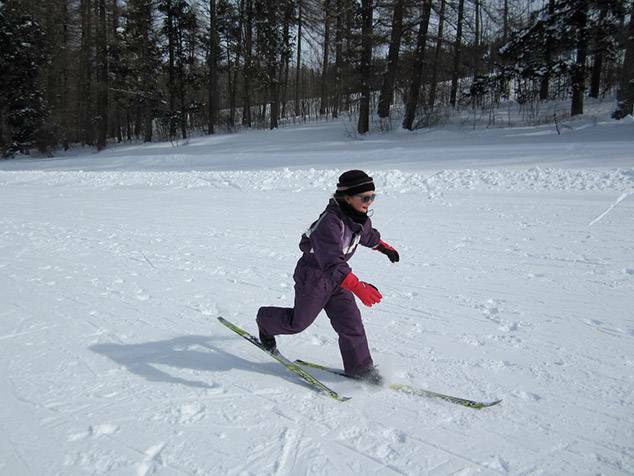 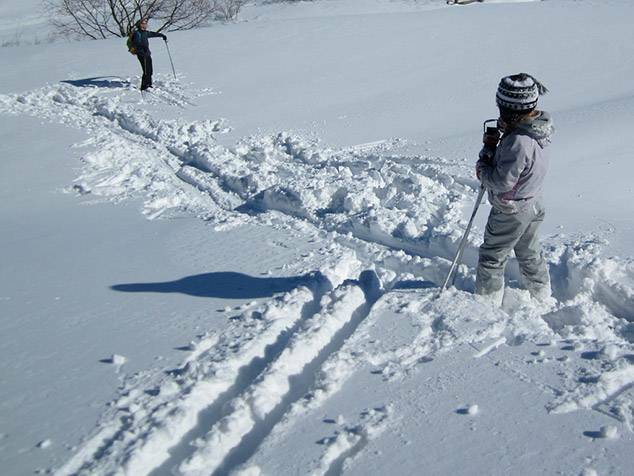 Age 7 or 8 is a good age to start cross-country skiing where you have enough balance and coordination to be able to grasp the basic techniques. 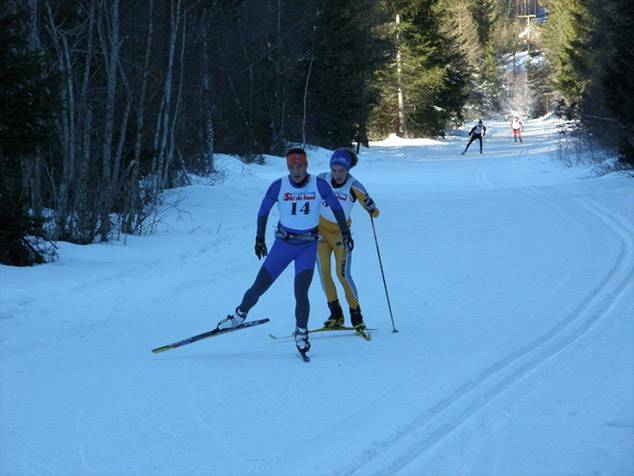 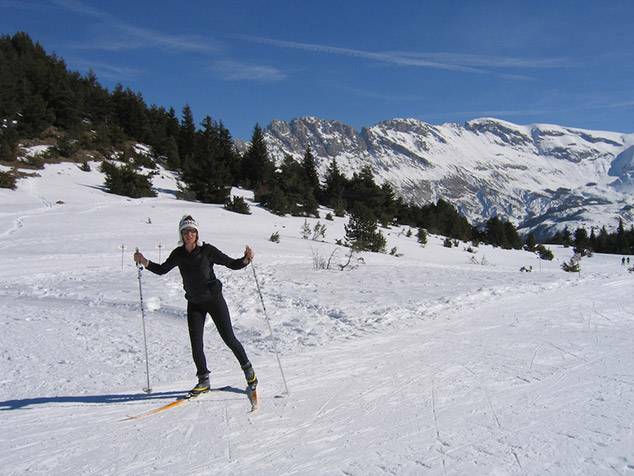 Anyone can try cross-country skiing. 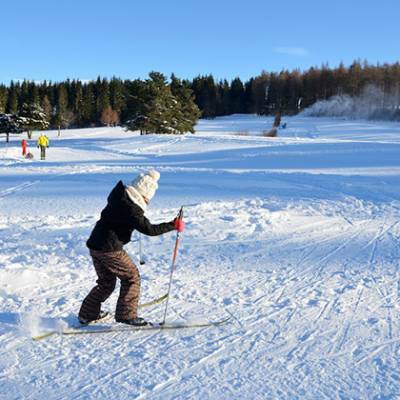 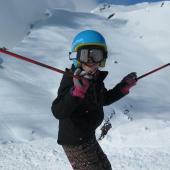 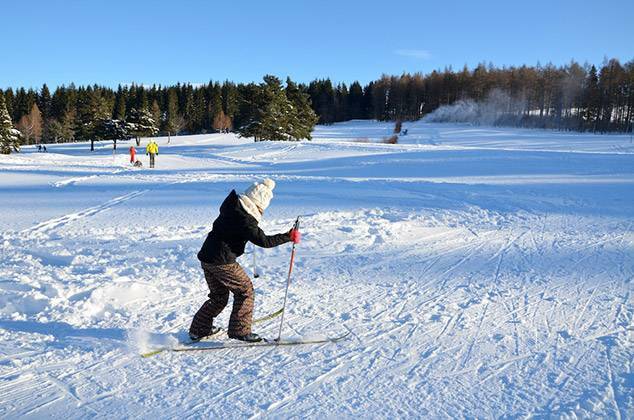 It is quicker to pick up than downhill skiing for total beginners as there is no speed factor to control and you can easily go at your own pace.